After months of anticipation, we are happy to announce that the new 2019 Mazdas have arrived on our showroom floor, and can guarantee they were worth the wait. Any fan of Toronto Mazda will be no stranger to the Miata, Mazda’s fiery and energetic roadster. 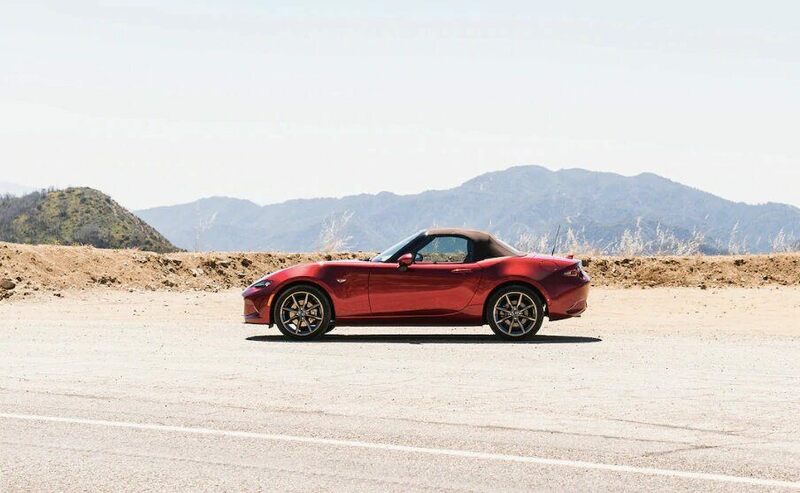 Not only is it one of the most popular Mazda vehicles on the road, it is also the best-selling sports car of all time, and the latest model is a breathtaking example of why: with a new 2.0-litre I-4 engine capable of delivering 181-horsepower and 151 lb.-ft. of torque, the new Miata is the fastest Mazda has ever built. Even so, it is only seven pounds heavier than the previous model, and actually offers better fuel economy. For drivers who want an SUV that can do a bit of everything, few vehicles can compete with the Mazda CX-9, a mid-size three-row SUV that blends incredible engineering, best-in-class handling, and an upmarket interior that will have you wondering whether it isn’t truly a luxury vehicle, the CX-9 has earned glowing reviews from industry experts and satisfied customers alike. The new CX-9 also comes with popular new features like Apple CarPlay that are sure to make it a hit among tech-savvy drivers of all ages. The CX-3 is the latest addition to Mazda’s SUV line-up, and it stands out among Mazda cars for its agility, versatility, and maneuverability. Mazda’s contribution to the subcompact crossover trend that has taken the automotive industry by storm in recent years, the CX-3 stands head and shoulders above its peers for driveability and handling. Its ability to seamlessly bring together the best qualities of the compact SUV and the family sedan is sure to make the new CX-3 especially popular among urban drivers who want a vehicle with the energy and spirit of an SUV, but which takes up less space and is more competitive at the pump. Each of these vehicles is already receiving incredible reviews, and if you want to get behind the wheel of one of them today, Yorkdale Dufferin Mazda is the best place to book your test drive. Not only does Yorkdale Dufferin Mazda offer some of the best deals on new Mazda sedans, SUVs, and sports cars in the Greater Toronto Area, we also provide the most compelling and flexible Mazda finance options so you can purchase your favourite new Mazda vehicle sooner. Automotive experts have long argued that fall is one of the best times to purchase a new vehicle, so don’t let winter catch you off guard. Come see us at Yorkdale Dufferin Mazda today, and experience these brand new Mazda models yourself!